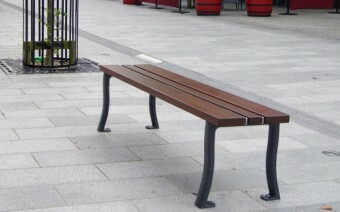 Hartecast are releasing 11 new products into the Irish market, adding to the more than 60 high quality street furniture products already available from Hartecast’s range. Among the new announcements is the biggest litter bin in the Hartecast range as well as the thickest and most heavy duty bollard ever to be manufactured by Hartecast. Overall, the 12 new additions are made up of the new HC2000 Range* and Z Range of outdoor seats and benches, our new 120 litre capacity HC2057 Bin*, and 7 new bollard designs including the ultra-tough Base Ball Bat Bollard and super sleek HC2013 Bollard. With the addition of 7 new bollards to their range Hartecast have looked to continue their commitment to style, durability and functionality. Several of the new bollards have been designed with the needs of the visually impaired in mind, offering high visibility collars and caps in a variety of colours. The HC2010 and HC2011 ranges of bollards offer this choice among others, such as stainless steel finish and fixed and removable bollard options. One of the standout additions to the bollard range is Hartecast’s impressive new Base Ball Bat Bollard. With its 12mm wall thickness it completely surpasses all other heavy duty Hartecast bollards – 3mm is the average thickness of a Hartecast bollard – and with its ductile iron composition this bollard even equals many of Hartecast’s Ductile Iron bins for durability. 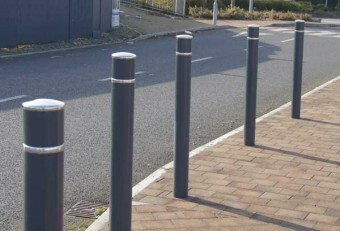 Overall, the 7 new Hartecast bollards offer maximum security and are ideal for protecting buildings, parking facilities and walkways throughout Ireland. 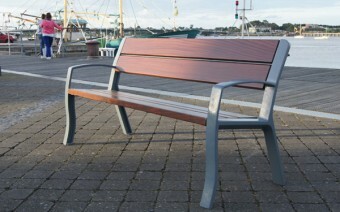 Hartecast has also unveiled two new ranges of outdoor seating that match any other seating range for style and design. Both the Z Range and the new HC2000 Range of seats and benches fuse traditional seating designs with a more modern approach. This is evident in the use of traditional seasoned mahogany for comfort and the ductile iron supports that are contemporary in design and guarantee longevity – they are more durable than cast iron. Finally, the new 120L litter bin is the biggest in its range combining its enormous capacity with its strong ductile iron and 315 grade steel composition for the ultimate rubbish facility Hartecast has to offer. It is extremely heavy duty – it can withstand mechanical impact and is vandal resistant – and comes in a variety of colours and finishes. For a full brochure of Hartecast products please call us on + 353 51 424 922, or email us at info@hartecast.com.